Today, Epic announced that stretched resolutions will no longer be allowed in Fortnite’s competitive Arena mode or in-game tournaments. Why does this matter? Well, for the past year or so, many competitive Fortnite players have taken to switching their screen resolutions from 16:9 (1920 x 1080) to wider, weirder ratios like 4:3 (1440 x 1080) and 5:3 (1600 x 1080). Even longtime holdout Tyler “Ninja” Blevins recently started practicing in stretched resolution to prepare for the April 13 kick off of the Fortnite World Cup, a multi-part tournament series that’s set to serve as the backbone of a year in which Epic plans to award a total of $100 million to esports players. Players believe stretched resolutions help them by, among other things, giving the funhouse mirror treatment to the size of enemies’ hitboxes—essentially turning them into bigger targets. However, other players have disputed this, saying that unlike in, for example, CSGO, resolution-switching in Fortnite makes characters appear slightly smaller to fit the new resolution. 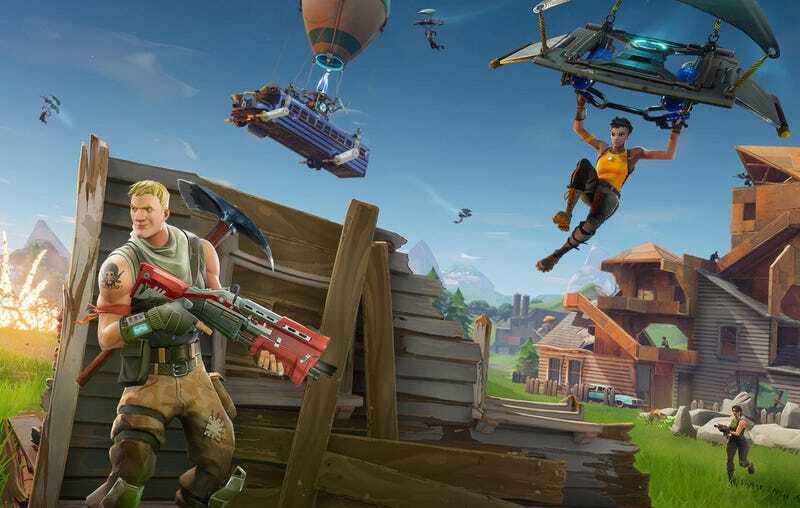 But, in the process, Fortnite does increase players’ vertical field-of-view (FOV), which is especially advantageous during the game’s frantic, onward-and-upward build battles. Then there are other, less tangible benefits of squishing the resolution: Some players say the game feels more responsive when played this way, possibly due to increased frames per second or just personal comfort.